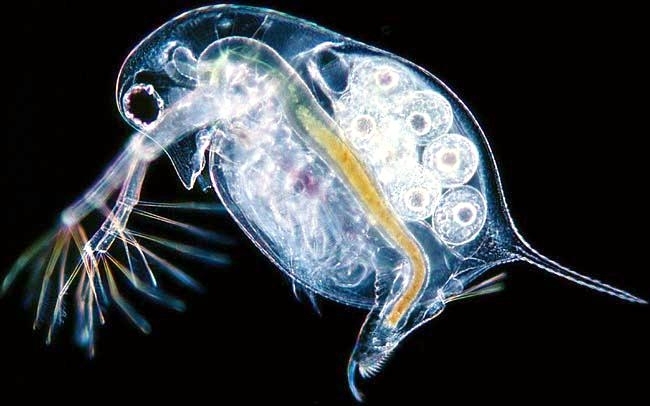 Plankton is composed of the phytoplankton (“the Plants of the Sea”) and zooplankton (zoh-plankton) which are typically the tiny animals found near the surface in aquatic environments. 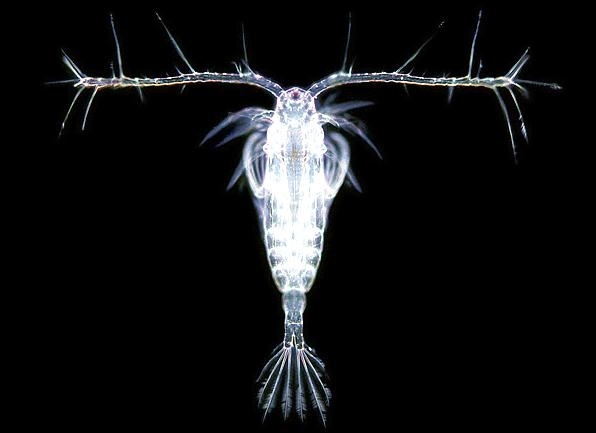 The name Plankton is derived from the Greek adjective πλαγκτός – planktos, meaning errant and by extension “wanderer” or “drifter”. 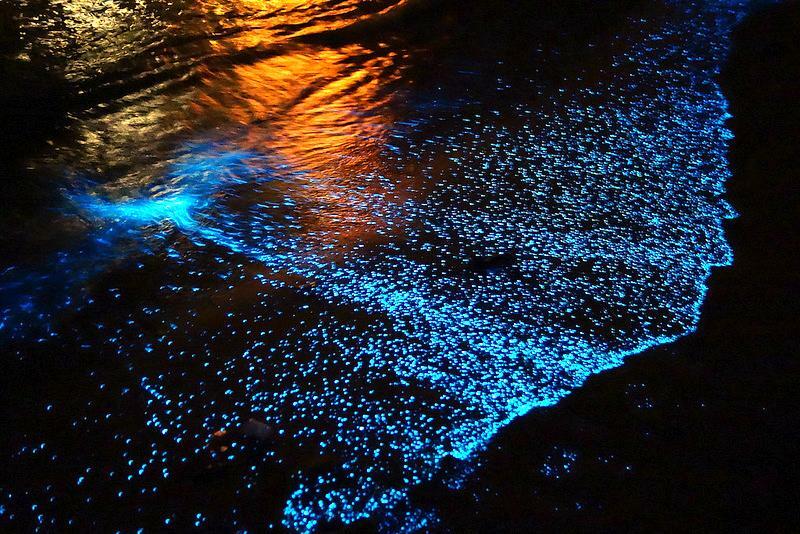 Plankton typically flows with ocean currents. While some forms are capable of independent movement and can swim hundreds of meters vertically in a single day (a behavior called diel vertical migration), their horizontal position is primarily determined by the surrounding currents. This is in contrast to nekton organisms that can swim against the ambient flow and control their position. 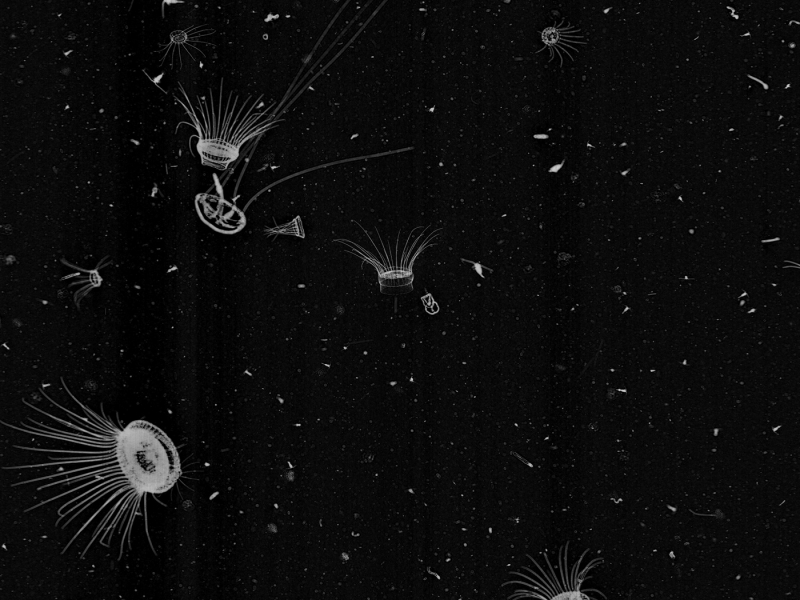 Like phytoplankton, zooplankton are usually weak swimmers and usually just drift along with the currents. 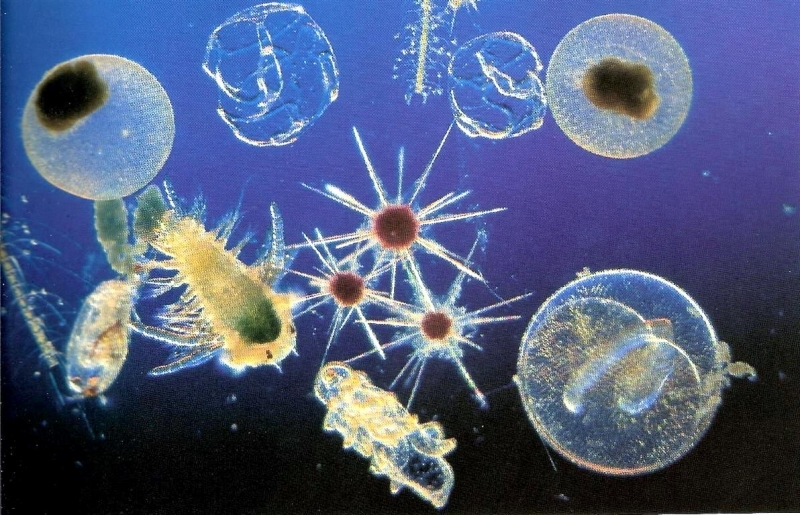 Plankton are comprised of two main groups, permanent members of the plankton called holoplankton such as diatoms, radiolarians, dinoflagellates, foraminifera, amphipods, krill, copepods & salps and temporary members such as most larval forms of sea urchins, sea stars, crustaceans, marine worms, some marine snails and most fish which are called meroplankton. 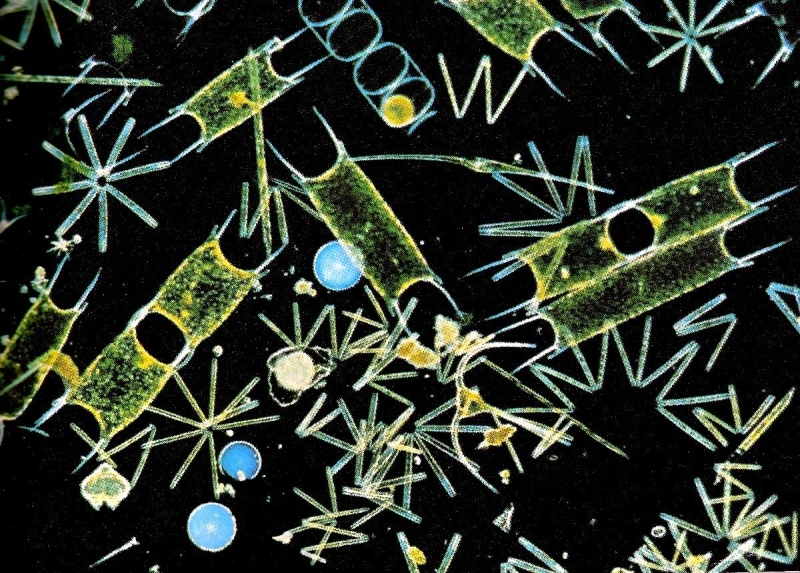 Along with phytoplankton, zooplankton are key components of marine ecosystems forming the base of most marine food webs. 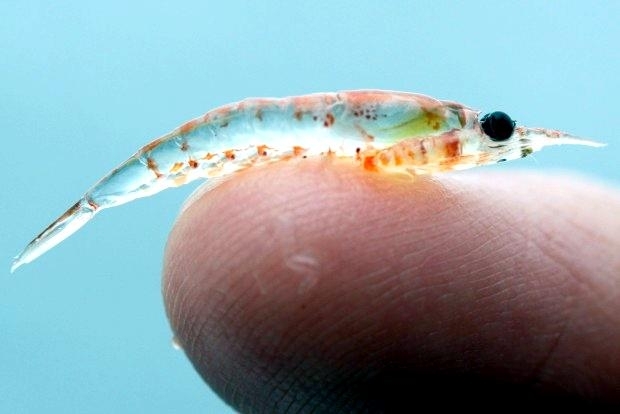 Zooplankton are classified by size and/or by developmental stage. 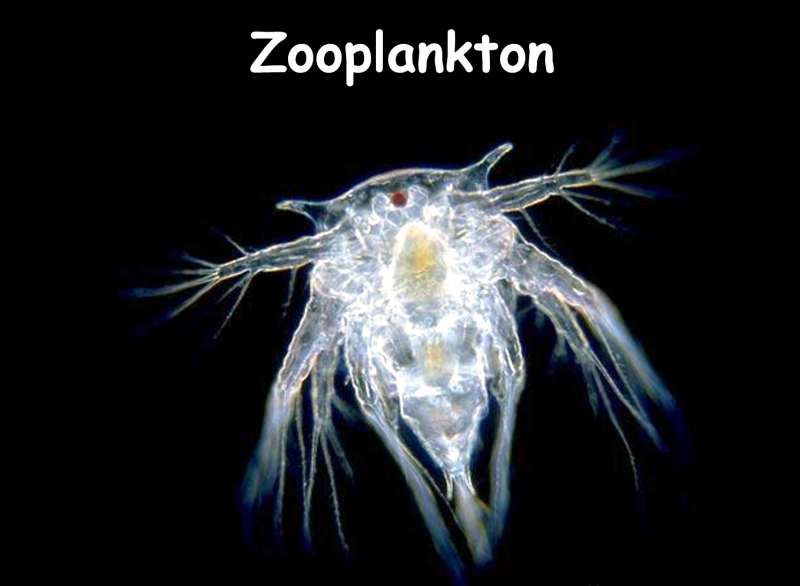 Zooplankton are classified as meroplankton and holoplankton. Meroplankton are actually larvae that eventually change into worms, mollusks, crustaceans, coral, echinoderms, fishes or insects. 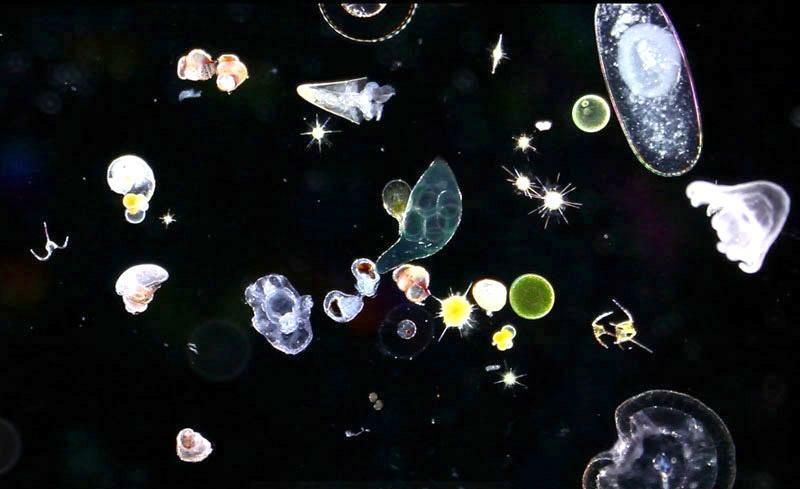 Holoplankton remain plankton for their entire life cycle and include ptyeropods, chaetognaths, larvaceans, siphonophores and copepods. Meroplankton & holoplankton are a component of almost every taxonomic group. 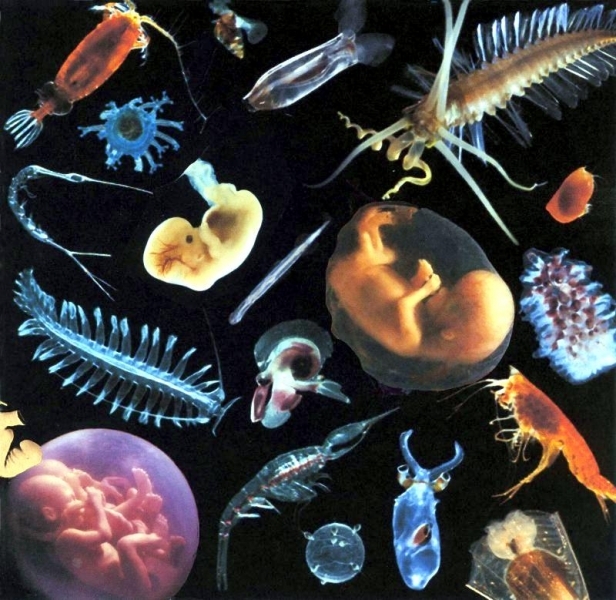 However, the most common plankton are protists, nanoplanktonic flagellates, cnidarians, ctenophores, rotifers, chaetognatha, veliger larvae, copepods, cladocera, euphausids, krill and tunicates. Size for picoplankton measures less than 2 micrometers, nanoplankton between 2-20 micrometers, microplankton measure 20-200 micrometers, mesoplankton measure 0.2-20 millimeters, macroplankton measure 20-200 millimeters and the megaplankton, which measure over 200 millimeters (almost 8 inches). 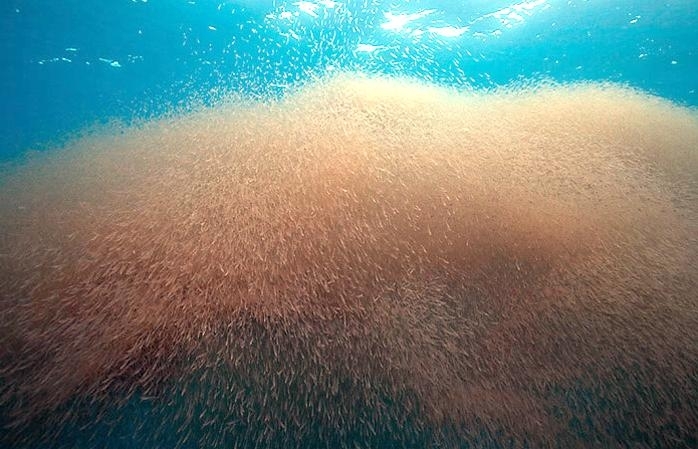 Protists produce energy by photosynthesis and form the base of marine food webs as primary producers. Protozoa are also protists and are similar to animals. 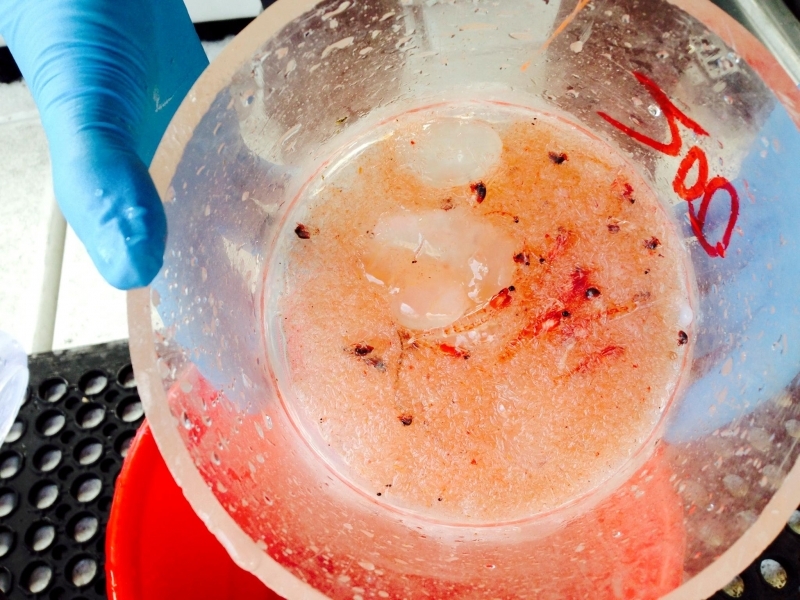 Protozoa make up a huge part of micro and nanozooplankton such as amoebas, ciliates and flagellates. These animals do not photosynthesize energy. Some amoebas such as those classified as Foraminifera and Actinopoda have hard skeletons, usually larger than 2 millimeters in diameter that help form deep-sea sediment. 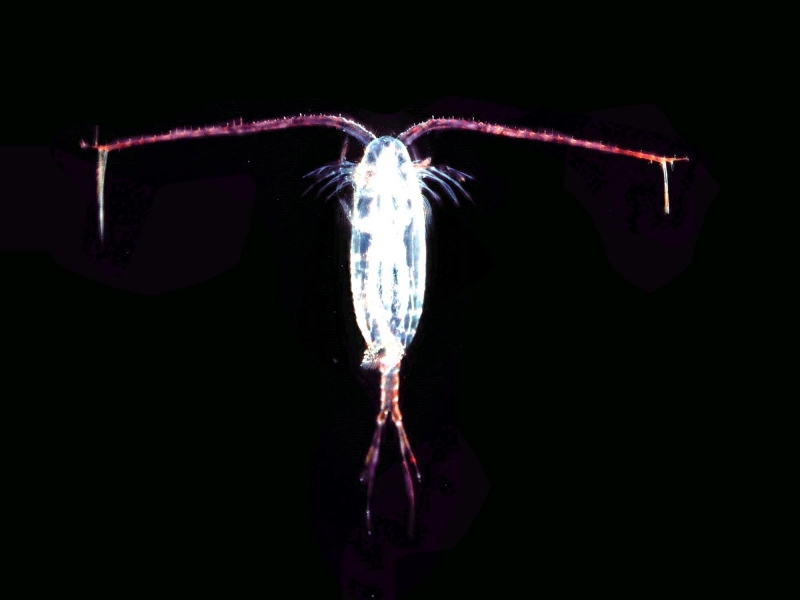 Zooplankton also include the nanoplanktonic flagellates that help keep bacteria populations under control. 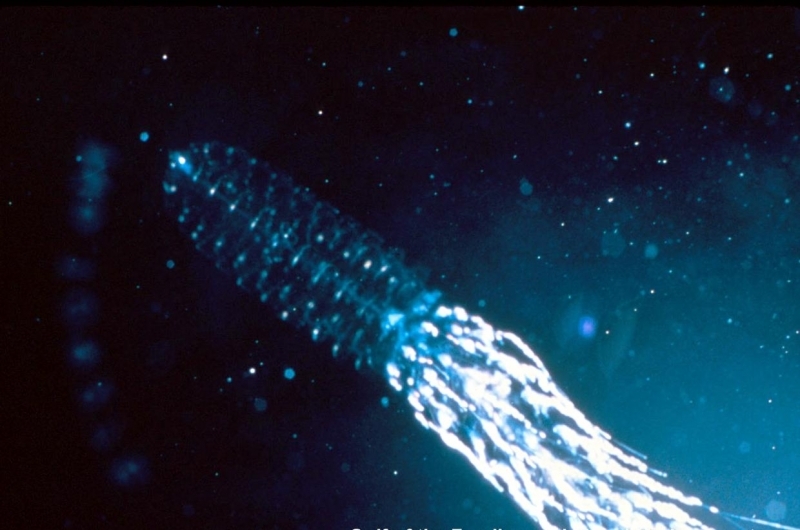 They are characterized by either a long tail used for swimming (flagellates) or by hair-like structures called cilia (ciliates). Some dinoflagellates have a net-like structure called a protoplasmic net, used to capture & eat prey that are typically larger in size than bacteria. 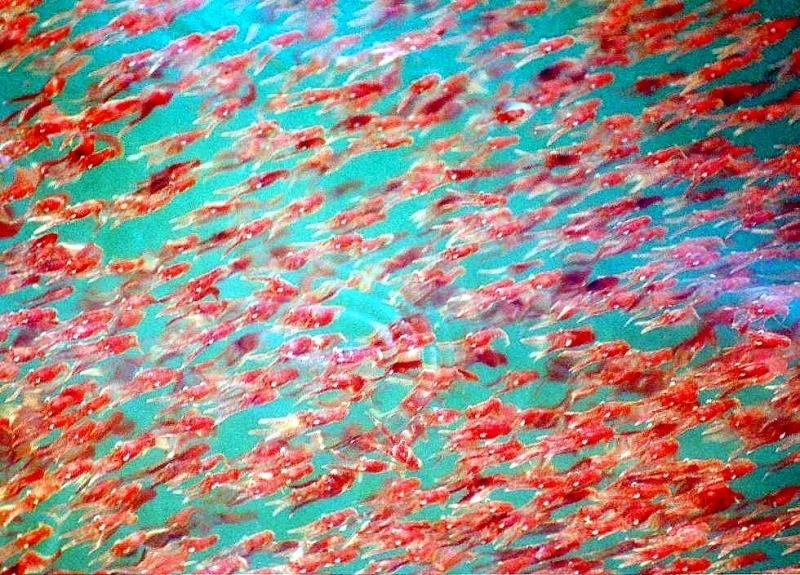 Some dinoflagellate species are also responsible for harmful fish kills and the infamous red tides. 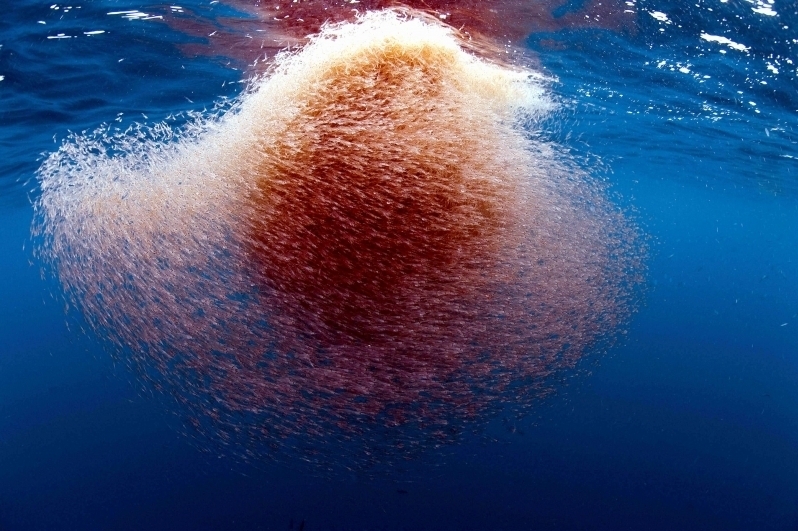 Ciliates are capable of catching bacteria, other protists and phytoplankton. Mixotrophs are an amazing organism that are half plant and half animal. 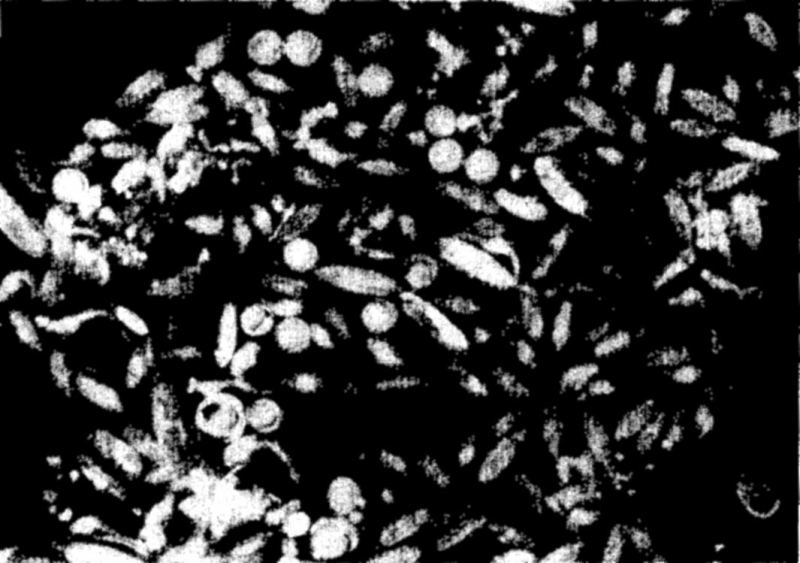 Mixotrophs have the ability to ingest other organisms through phagocytosis (phago: “to eat” + cytosis: “cells” = the process of engulfing other cells for ingestion) but also contain functional photosynthetic structures. Cnidarians is a phylum that contains the colonial siphonophores and the scyphozoans also known as the true sea jelly. Both of these animals are predators and have stinging tentacles. They are not found often in freshwater and in the ocean they inhabit the layers closer to the surface. 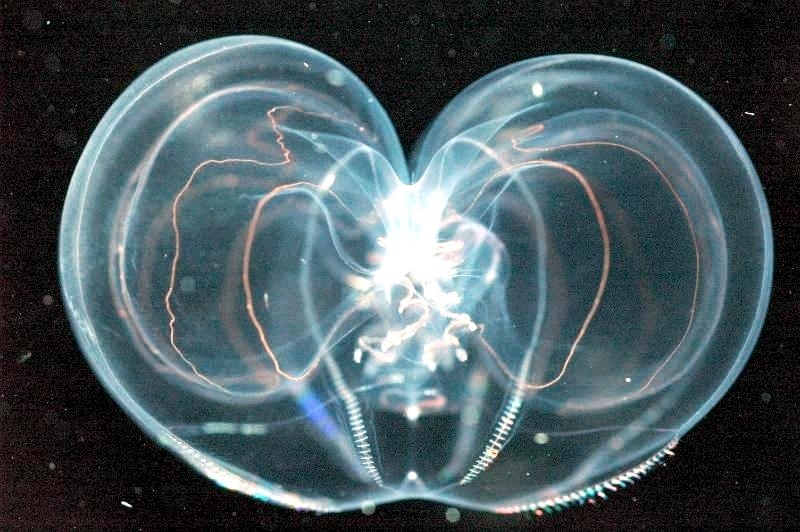 Comb jellies or ctenophores were previously classified under Cnidaria but have recently been distinguished from other sea jellies because they lack the characteristic stinging cells of other sea jellies known as nematocysts. 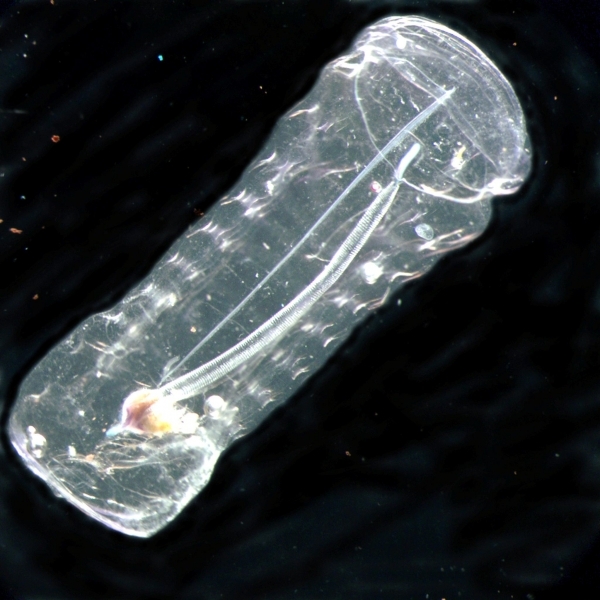 Comb jellies effectively keep copepod zooplankton levels in check through predation. 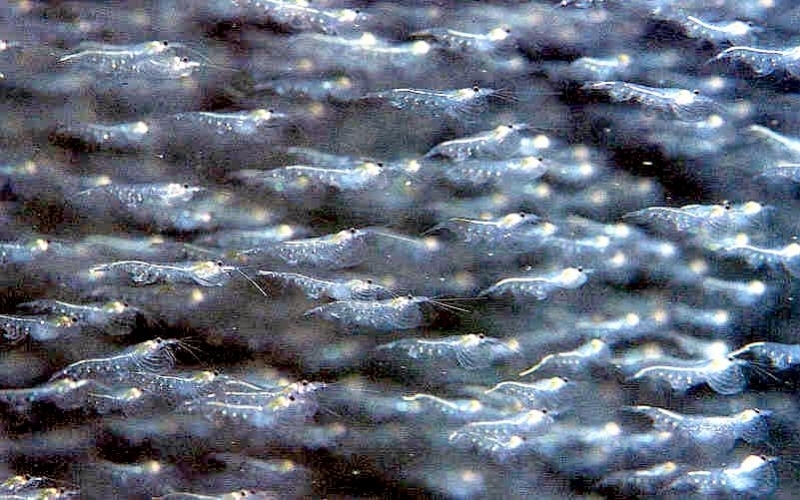 There are about 2,375 species of rotifers in freshwater and only 125 in the ocean. 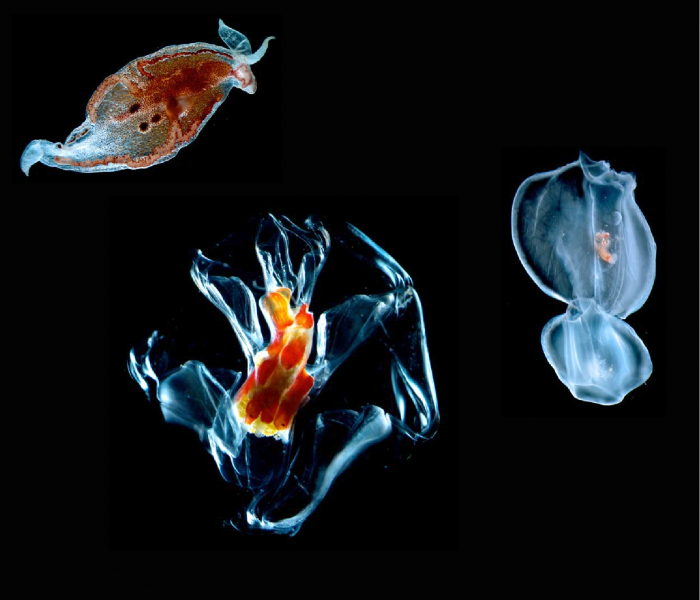 Most of the rotifers are non-motile (not able to move) but about 100 species are holoplanktonic. Rotifers eat bacteria, detritus, other rotifers, algae or protozoa. 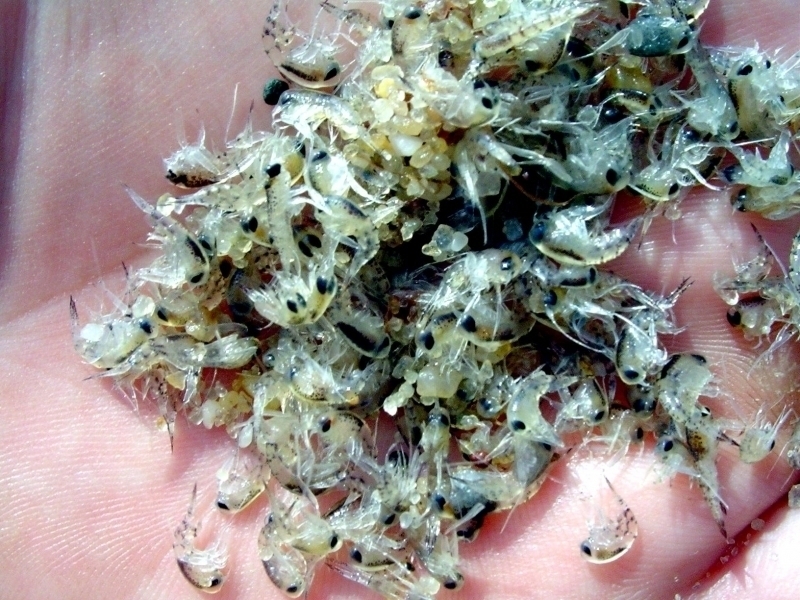 Rotifers are highly efficient reproducers. 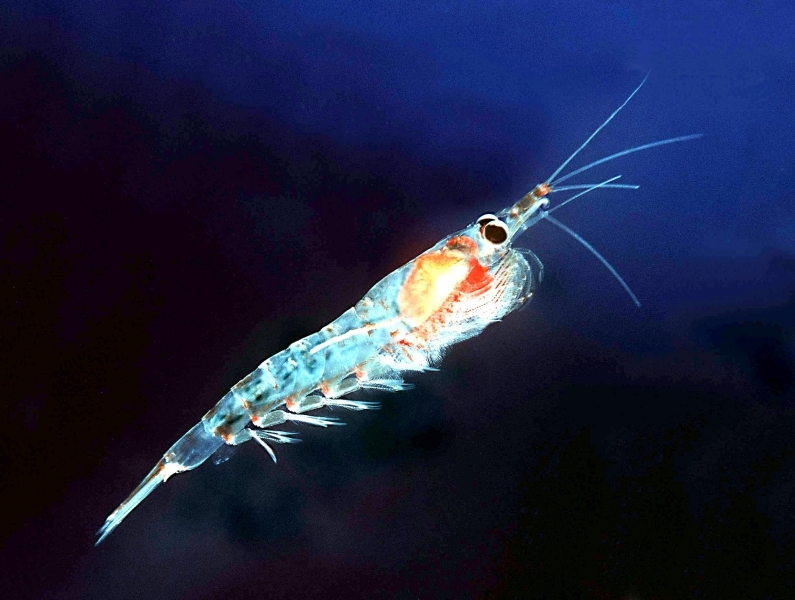 They are able to reproduce asexually (without a mate) when environmental conditions are good and sexually when environmental conditions are stressful. 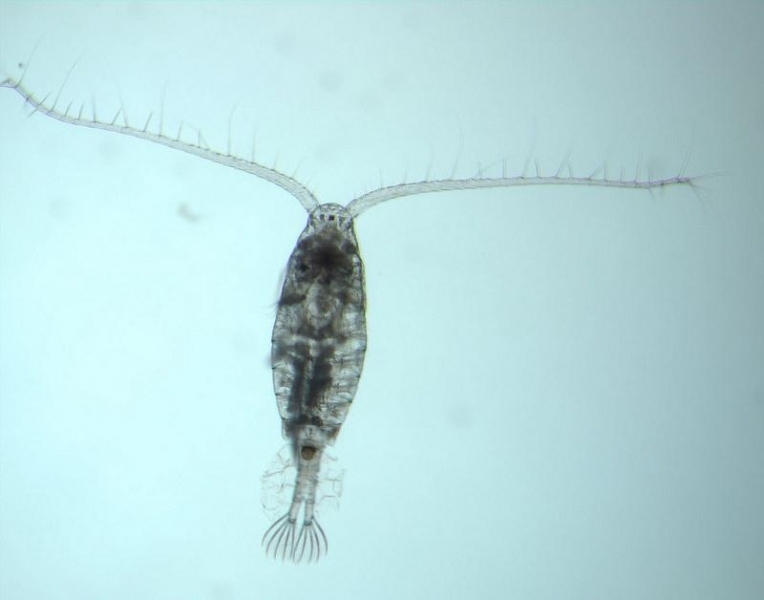 This ability allows rotifers to conserve energy in good conditions and adapt to their environment in stressful conditions. 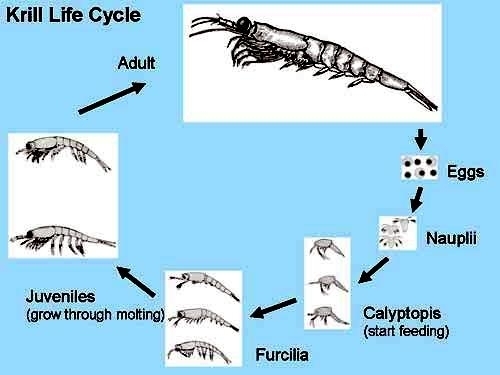 Adaptation is possible through sexual reproduction because a variety of offspring are produced, allowing the individuals best suited to the environment to survive. 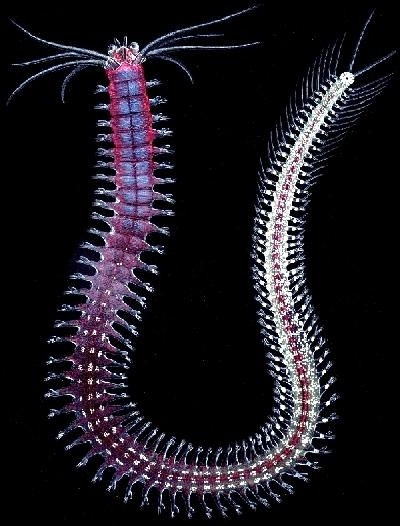 The chaetognatha or Arrow Worms are mostly holoplanktonic and are abundant worldwide. 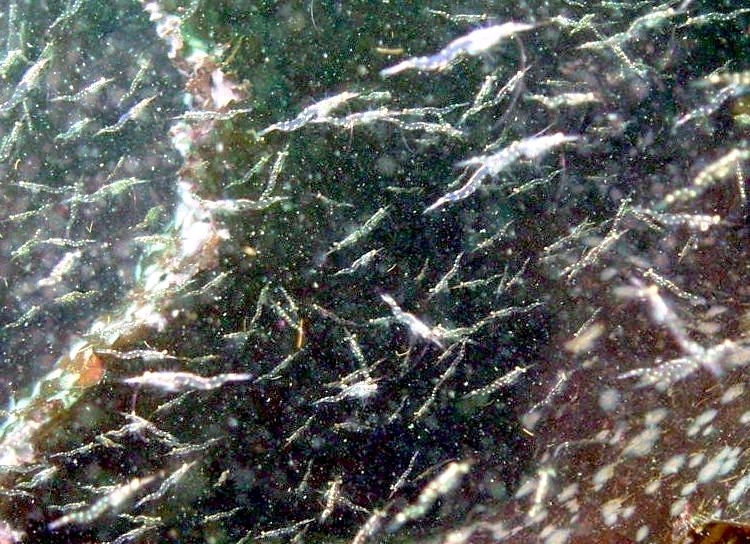 These transparent worms are approximately 3 centimeters long and have fins on the sides of their bodies. 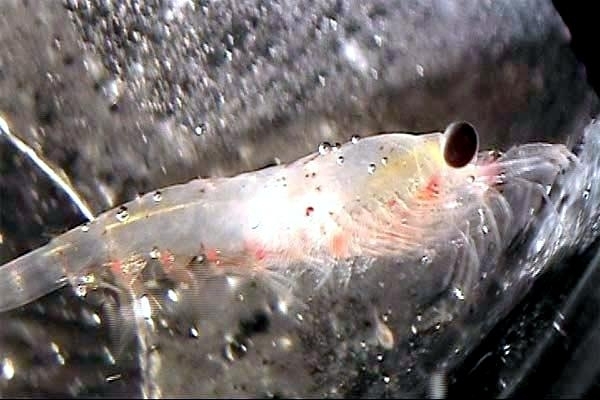 The Polychaeta or polychaetes are a class of Annelid Worms, generally marine. 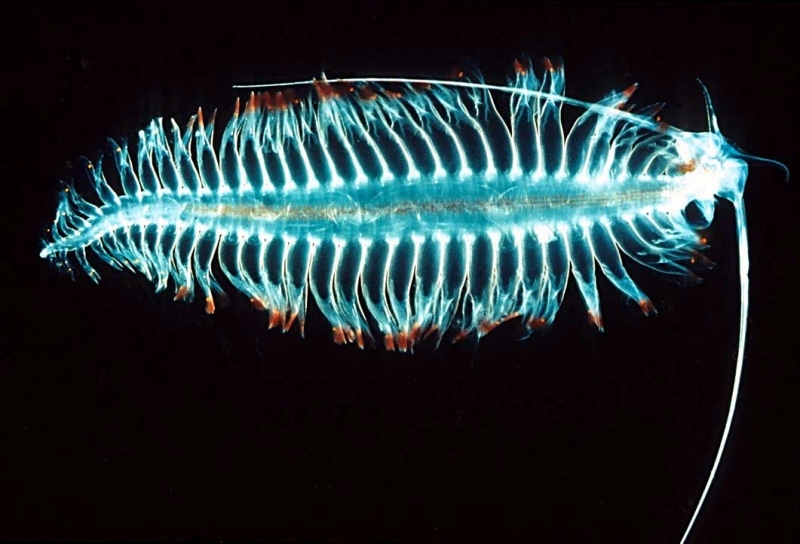 Each body segment has a pair of fleshy protrusions called parapodia that bear many bristles called chaetae, which are made of chitin. 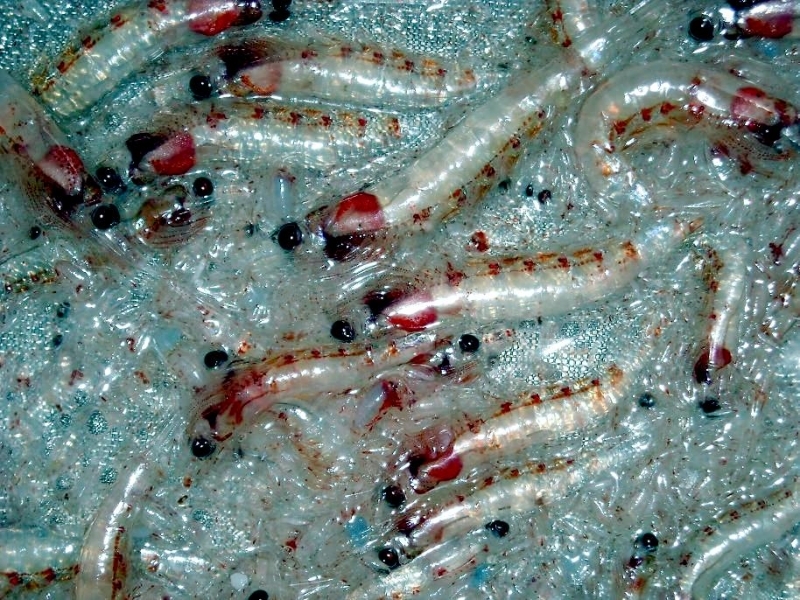 Polychaeta means “many-bristled” (as opposed to the Oligochaeta which are “few-bristled”) and indeed the polychaetes are sometimes referred to as Bristle Worms. More than 10,000 species are described in this class. Common representatives include the Lug Worm and the Sand Worm or Clam Worm. 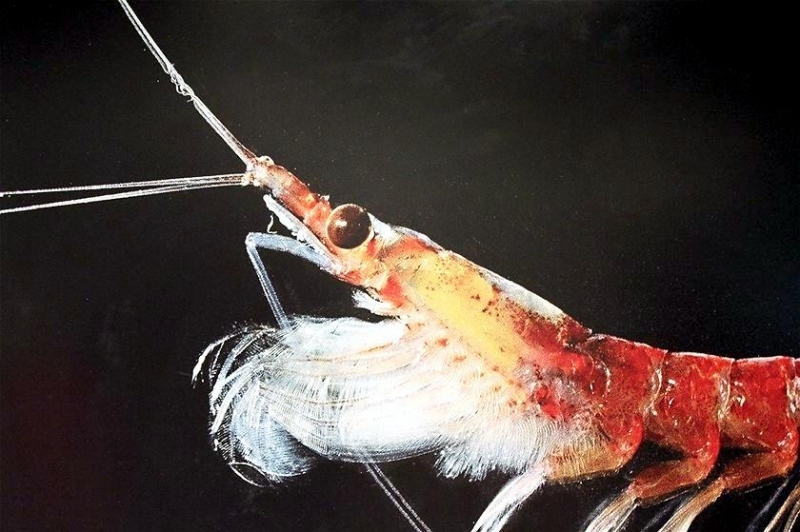 Most macrozooplankton are copepods found in saltwater & freshwater ecosystems. 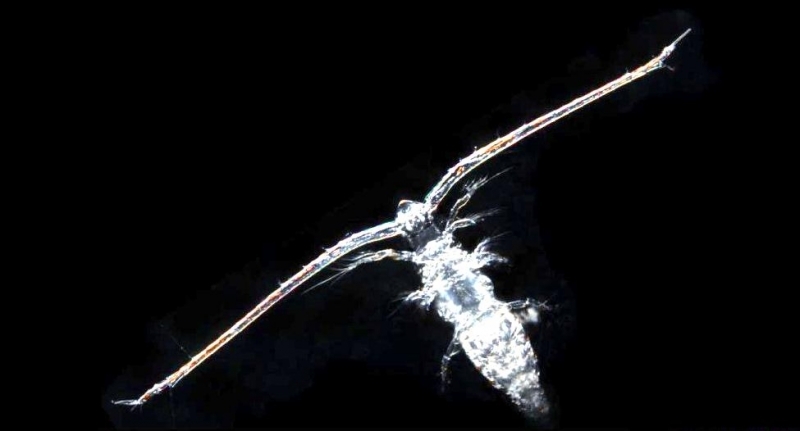 Copepods swim using an antenna & frontal structures on their bodies. 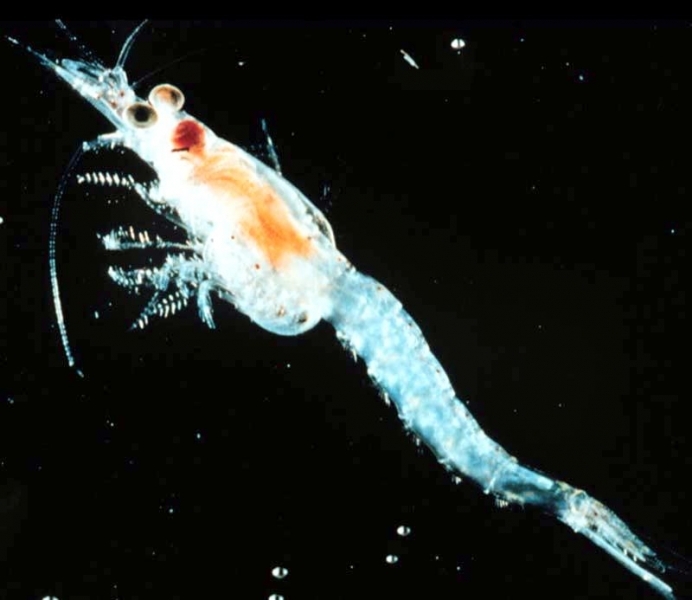 They eat phytoplankton & detritus and occasionally other zooplankton smaller in size. 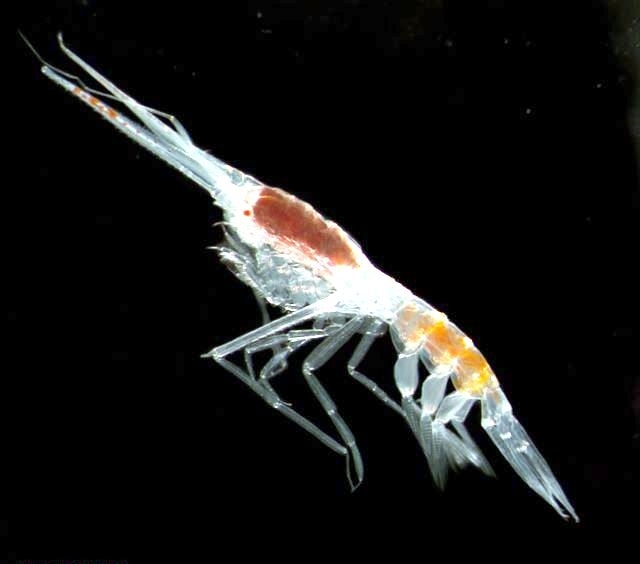 Claudocera are planktonic crustaceans found in coastal waters. 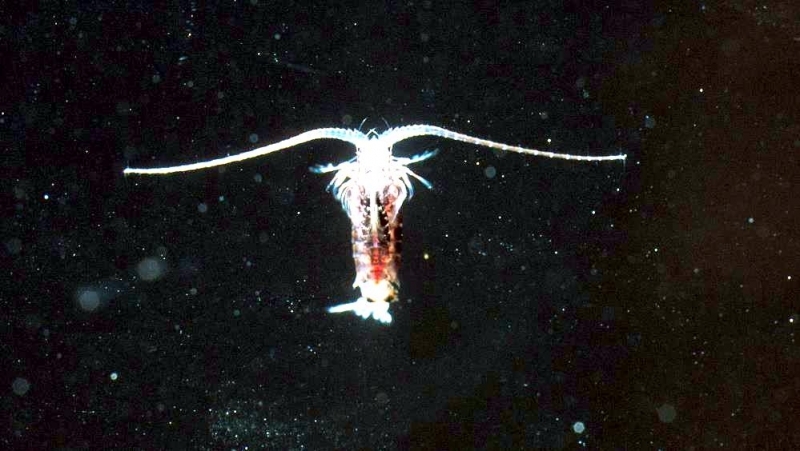 They swim using an antenna like copepods but instead of using their first antenna, they use the second antenna. They appear to have 2 sections to their body but it’s only an illusion caused by a folded outer shell. 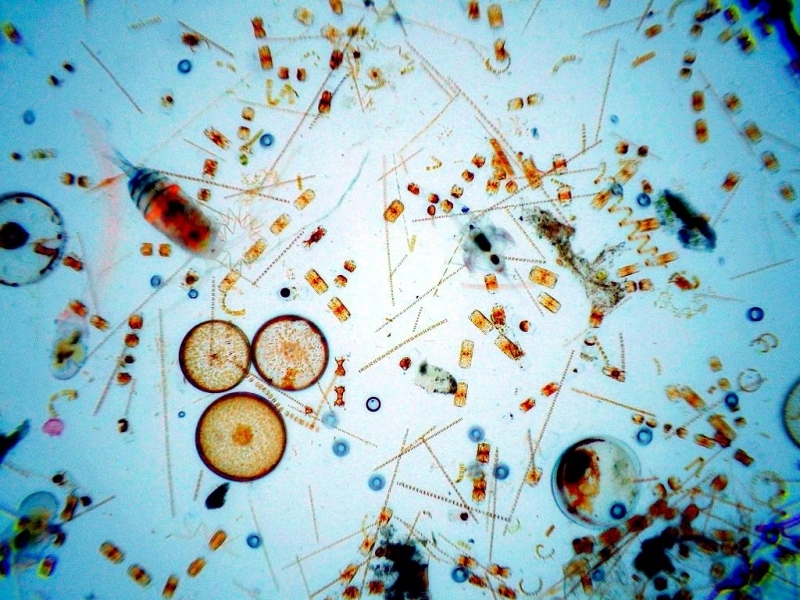 Cladocerans eat phytoplankton and other zooplankton. 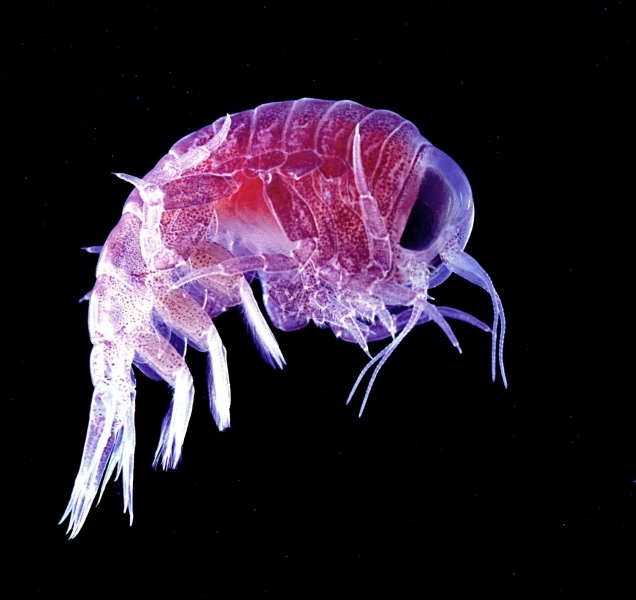 Like many species of zooplankton, cladocerans migrate to the surface at night. This is referred to as “diurnal migration”. 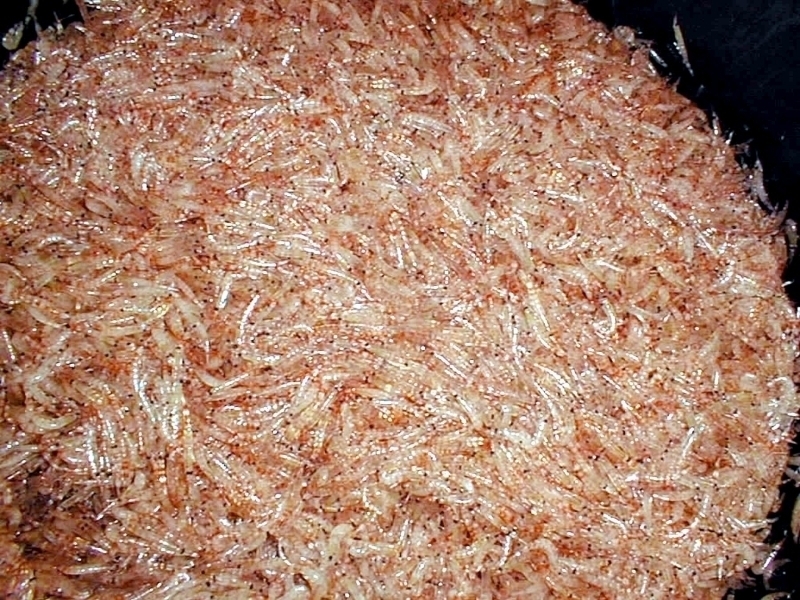 Krill means “whale food” in Norwegian. 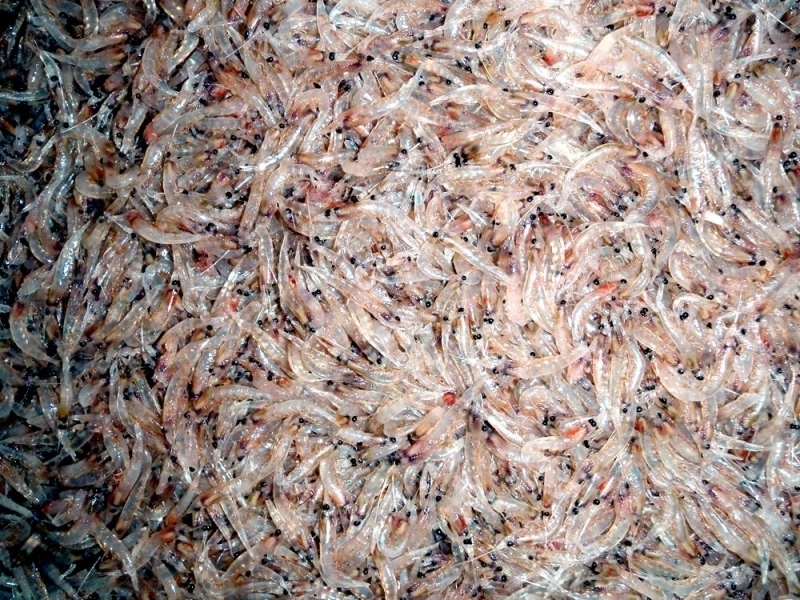 Krill are eucarid shrimp-like crustaceans that swarm in dense shoals, particularly in Antarctic waters. 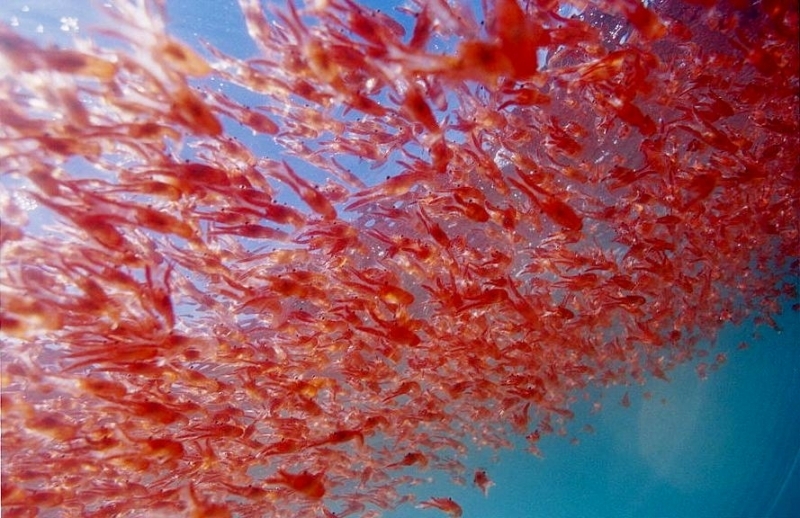 Krill swarms may be as dense as 10,000 Krill per 1 cubic meter of water and can stretch for kilometers. Individuals range in length from 8-70 millimeters, the largest up to 14 centimeters long. 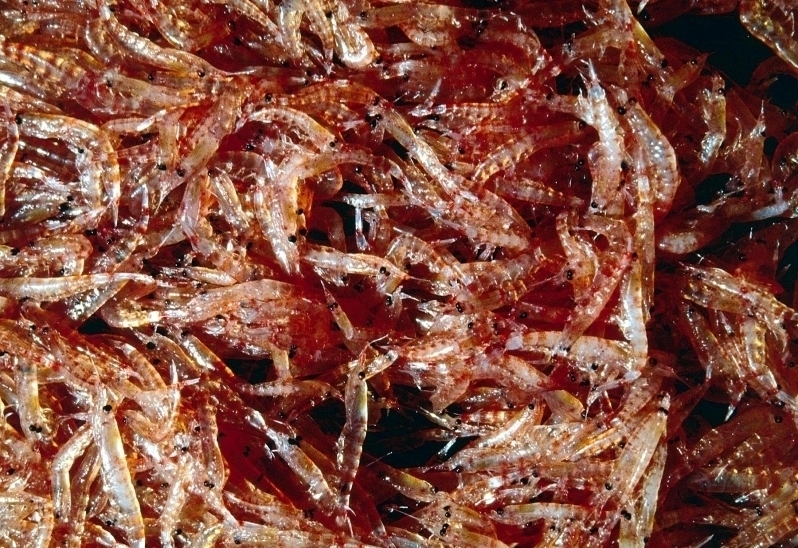 Krill classified under Euphausids are found all over the world. 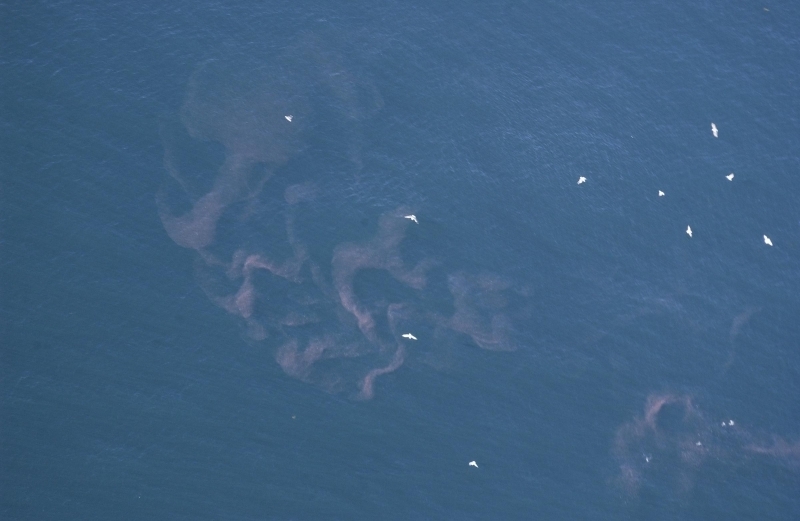 They can be 3 centimeters large and are an important source of food for many types of whales. 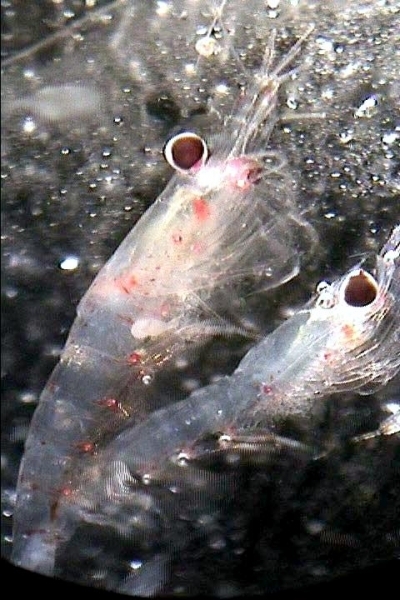 In cold waters, Krill often feed on diatoms, a type of phytoplankton. 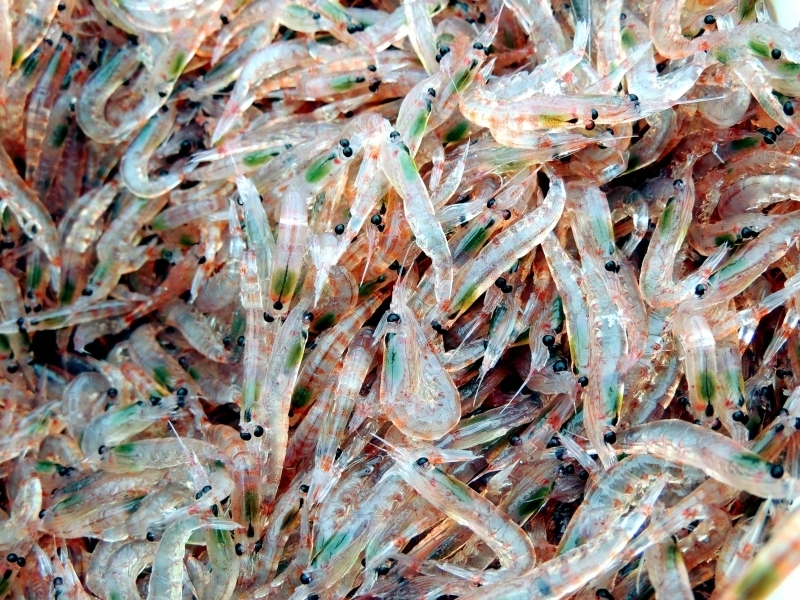 In warmer water, they prefer to eat other animals. 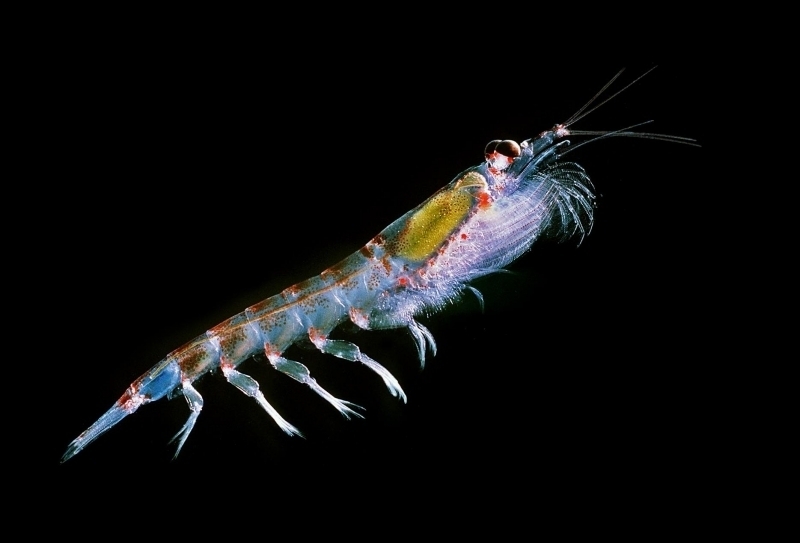 All species of plankton have been forced to develop certain structural adaptations to be able to float in the water column. 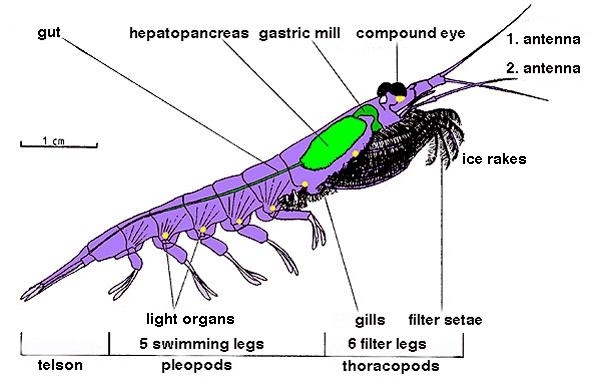 Adaptations include: flat bodies, lateral spines, oil droplets, floats filled with gases, sheaths made of gel-like substances and ion replacement. 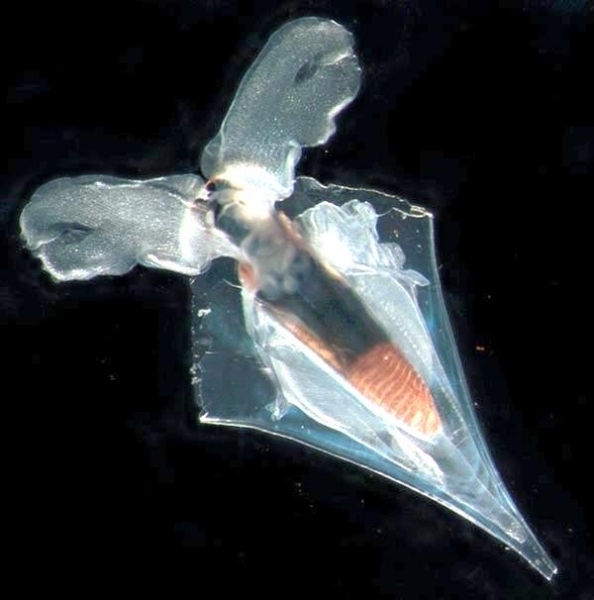 The flat body and spines allow some species of plankton to resist sinking by increasing the surface area of their bodies while minimizing the volume. 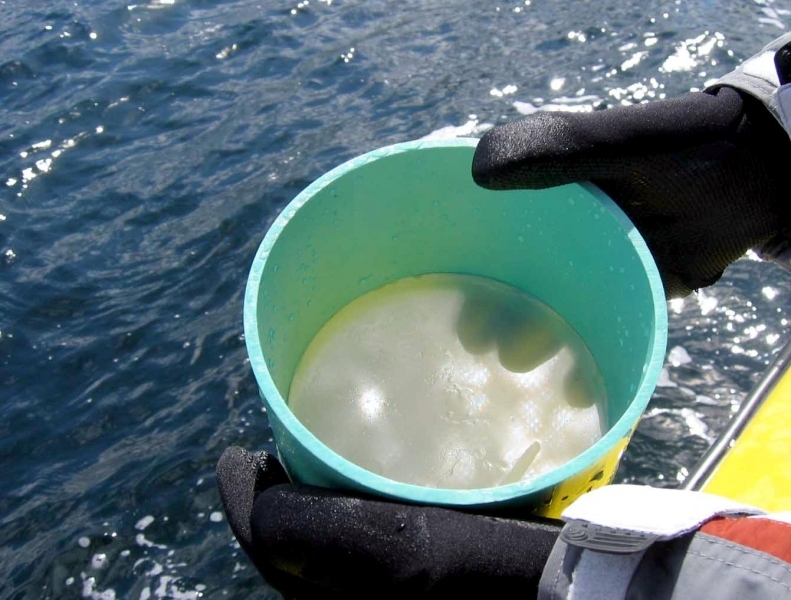 All other adaptations keep plankton from sinking quickly to the bottom. 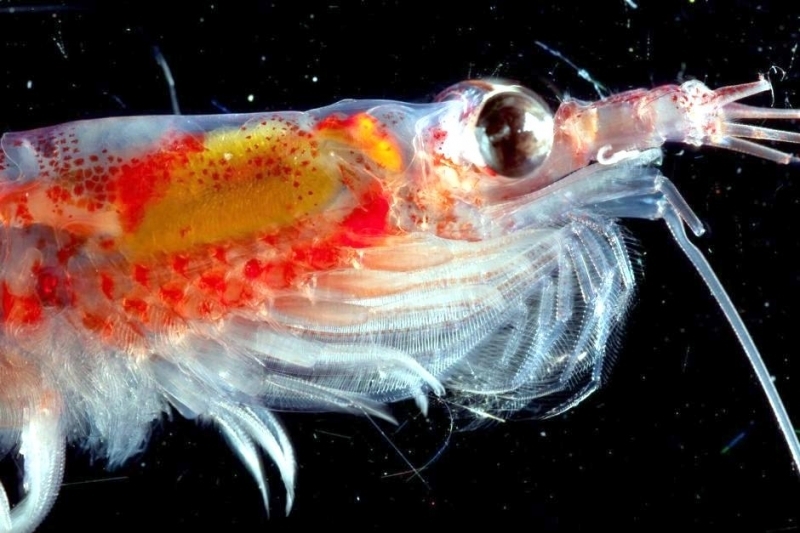 Zooplankton have also adapted mechanisms to deter fish (their heaviest predator) including: transparent bodies, bright colors, bad tastes, red coloring in deeper water and cyclomorphosis. 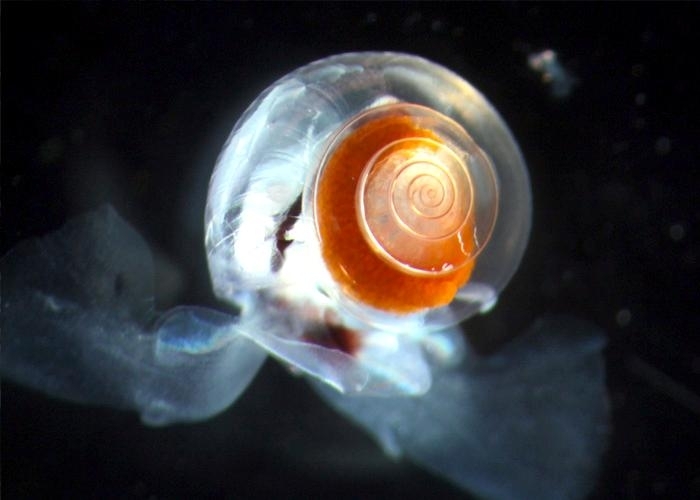 Cyclomorphosis occurs when predators release chemicals in the water that signal zooplankton, such as rotifers or cladocerans to increase their spines and protective shields. 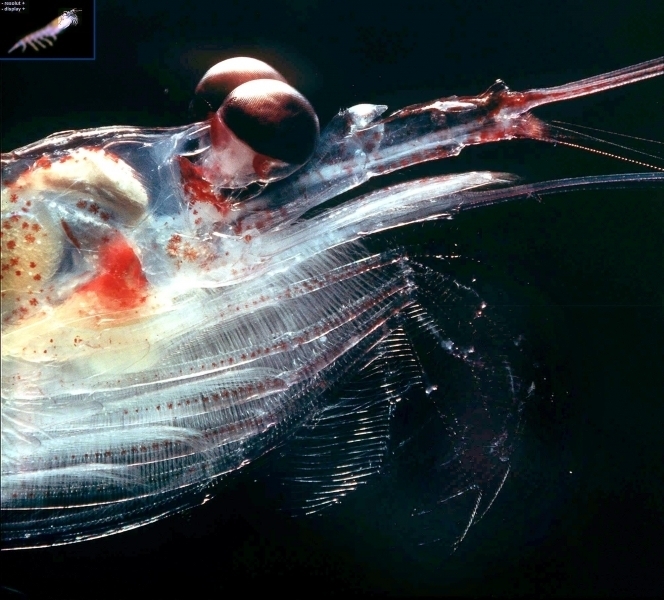 Specific species of zooplankton occupy particular saltwater habitats. 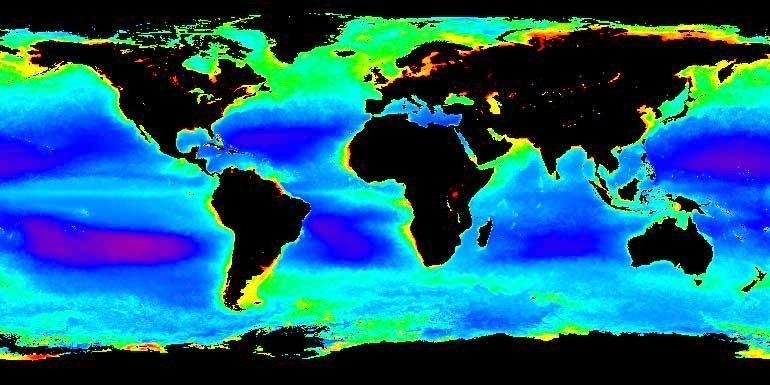 Each species is uniquely adapted to factors like light, temperature, turbulence and salinity in its environment. 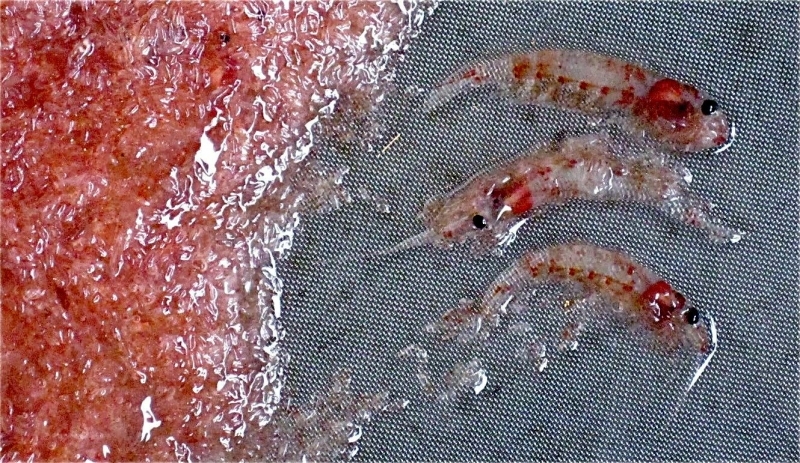 Zooplankton on one side of the Gulf Stream are different species from those on the other side. 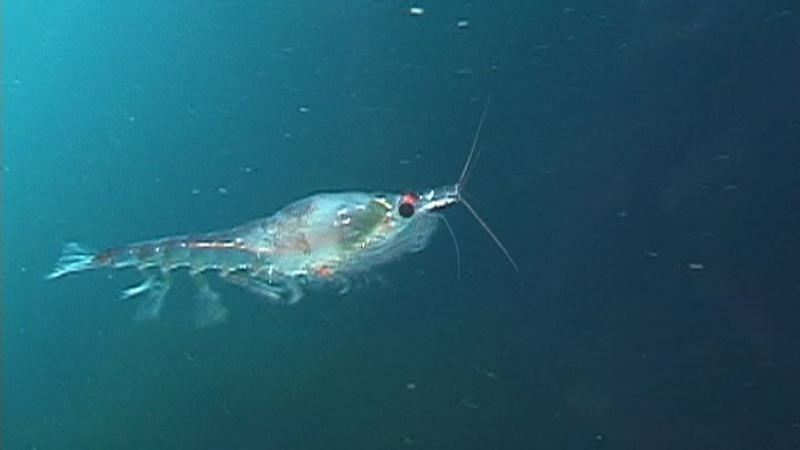 These characteristics of different species of zooplankton can sometimes help scientists distinguish one water mass from another. 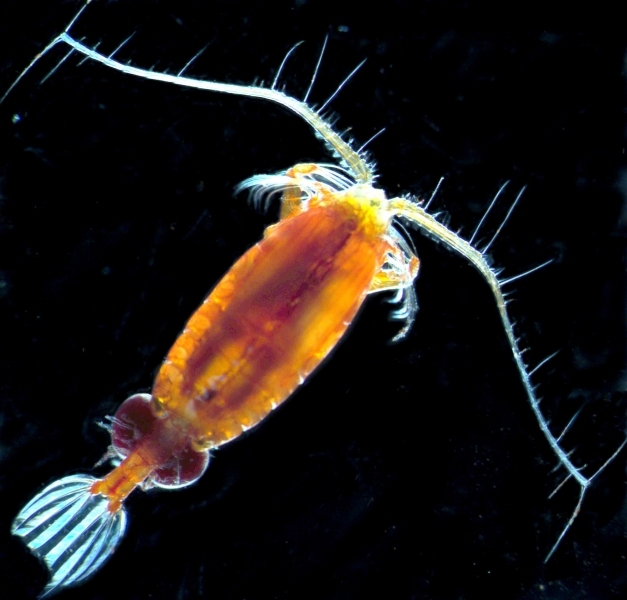 Zooplankton are also sensitive to their environment and like phytoplankton, a change in zooplankton concentration can indicate a subtle environmental change. 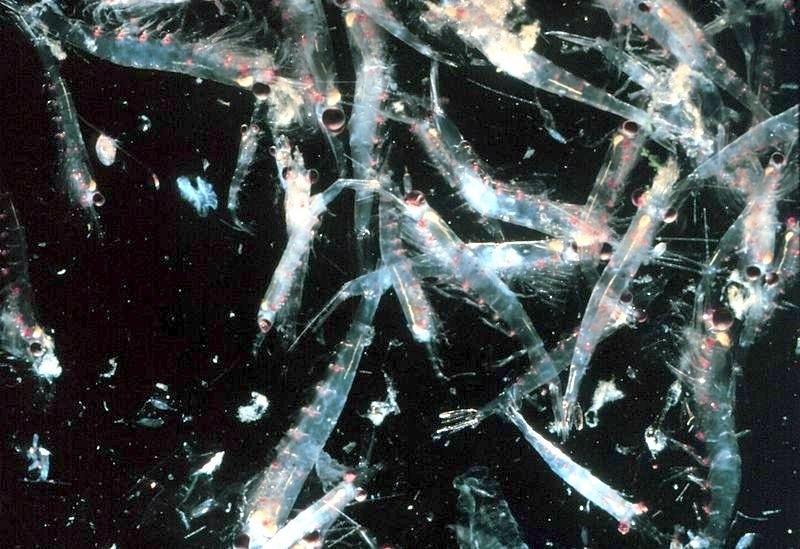 Zooplankton are highly responsive to nutrient levels, temperatures, pollution, food that is not nutritious, levels of light and increases in predation. 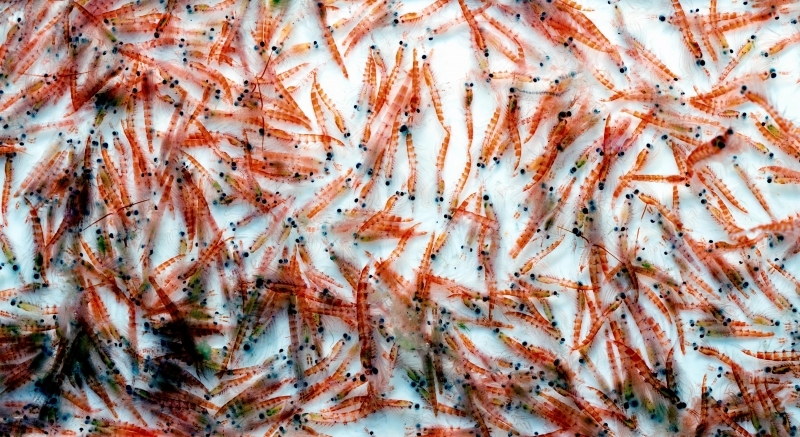 As well as providing an essential link in the marine food chain (which is an understatement), the diversity of species, amount of biomass and abundance of zooplankton communities can be used to determine the health of an ecosystem. 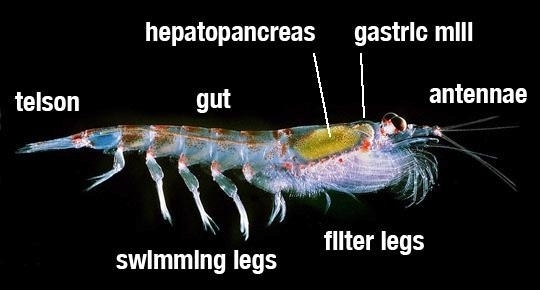 Zooplankton are also affected by levels of pH, heavy metals, calcium and aluminum. 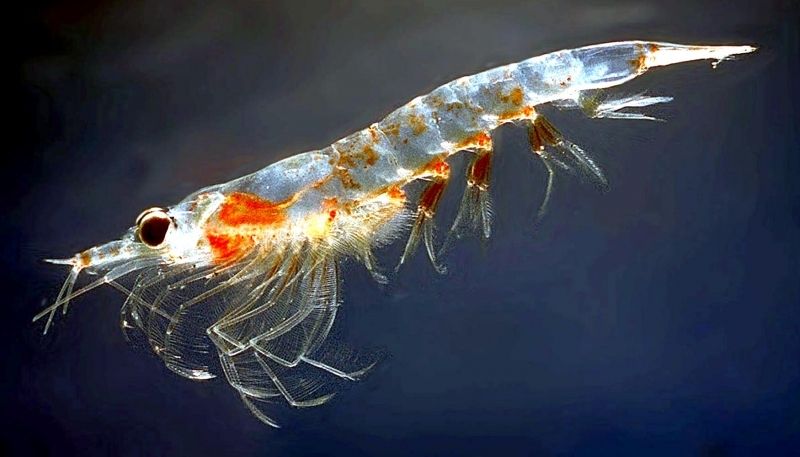 Nutrients like nitrogen & phosphorus will affect the prey of zooplankton (like algae, protozoa and bacteria), indirectly affecting zooplankton survival. 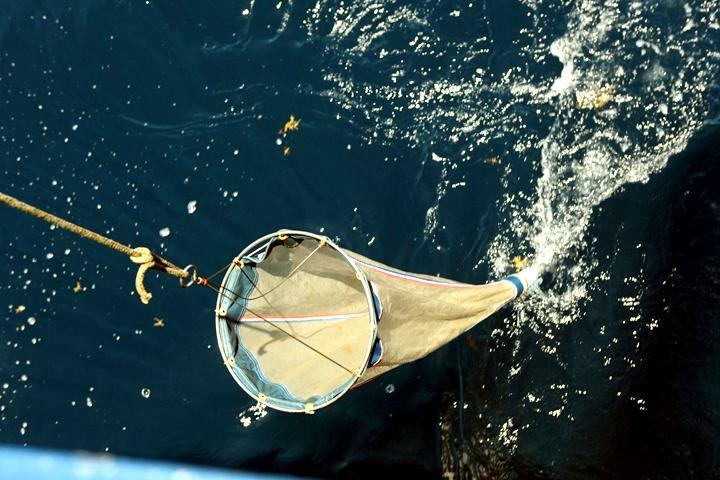 Scientists are still putting together pieces of the zooplankton puzzle. 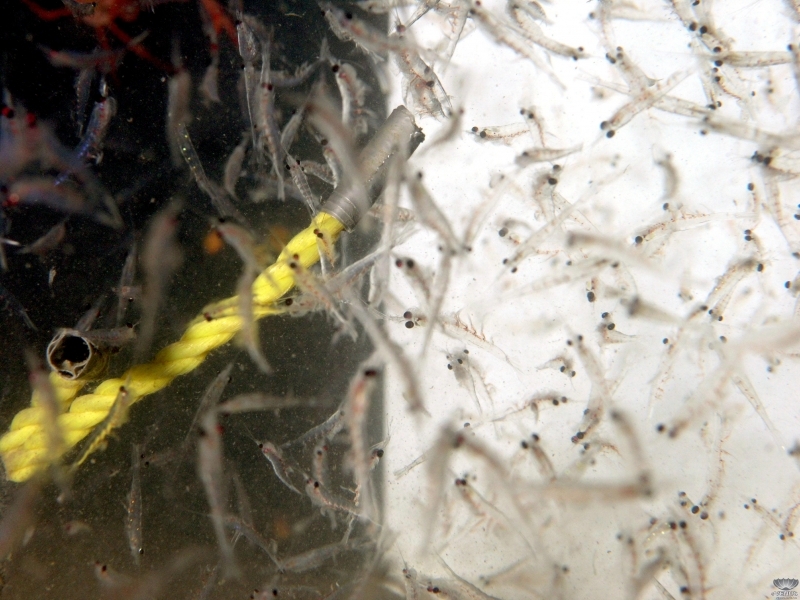 Some questions include how nutrient levels found in algae can influence the growth & behavior of zooplankton. 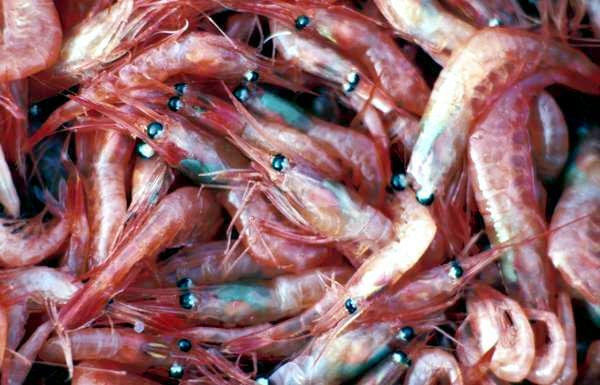 Another question important to marine and human life, is how toxins & pollution will affect this crucial link in the food chain.